At Tawhai School we foster student achievement by providing opportunities for them to succeed in all areas of the National Curriculum. At Tawhai School we foster student achievement by providing opportunities for them to succeed in all areas of the National Curriculum. Learning programmes are designed to engage students in relevant meaningful and personalised learning experiences. The Tawhai School curriculum prioritizes achievement in the foundation areas of reading, writing and maths. As we want to enhance students’ abilities to learn and equip them with the necessary knowledge required to further their education. What are our student’s strengths and learning needs? What are our teacher’s professional strengths and learning needs? Put simply, we use this process to identify what our key areas of focus will be! Teaching a language is not something every teacher is confident in doing. However we are committed to improving the way we integrate Maori language and culture in to every day learning experiences. 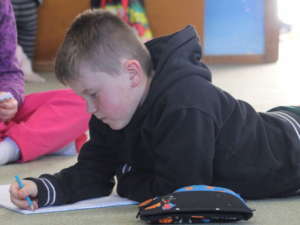 At Tawhai we integrate Te Reo in to everyday learning, employ a specialist kapa haka teacher, provide regular and on-going professional development for staff , and continue to access and purchase new educational resources for all classes. Encourage sharing of teaching ideas and resources. Save time though improve efficiencies. Make learning more exciting for our students. Develop student inquiry skills (i.e.) reading for information and using information to answer a question. Encouraging independent learning and self-motivated learners. Provide opportunities for students to share their work with a wider audience. Provide opportunities for students and staff to collaborate on projects.